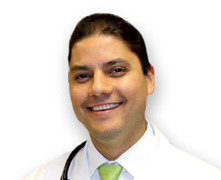 Dr. Guajardo has a highly trained staff prepared to listen and provide outstanding customer service and medical care. The team is committed to ensuring your visit exceeds expectations. We look forward to serving you and your family and appreciate you choosing us for your healthcare needs! Your health is our primary concern. Having access to professional, easy-to-understand medical information is one of the best ways to protect it. We require payment of your deductible, co-payment, any past due account balances, and current charges at the time of service. with you when you come in for your appointment. This will help us to streamline the registration process of your first visit. Dr. Guajardo, specializes in obstetrics and gynecology services in Brownsville for women at all stages of life... Read more.